Hey guys, this is a quick post where I want to share a great podcast that I listen all the time called “The Amp Hour“. If you are into electronics (which obviously I am), it’s a much listen show! I moved to Berlin a few months ago to start working as Lead Electronics Engineer at UNU Motors. As soon as I found my own place (after spending three months apartment hunting), I decided to buy a good audio monitor, so I could listen to music and watch videos with a decent audio quality. My choice was a BX5 M-Audio audio monitor, great speaker at a very good price. The only annoying thing is that every time I wanted to listen music from my computer, I had to take the P2 plug from the RaspberryPi (running OSMC) and connect to my mac, and vice versa… To fix this problem, I decided to make a small PCB where I can plug everything together and then flip a switch to toggle inputs. If you are like me who is always trying different linux builds for Raspberry Pi or keeps messing up with Kodis configurations, this post is for your. I will teach you to make an perfect image of your SD Card so that you can simply go back to the last image, without having to install everything again from scratch. In my case, the SD card is in /dev/disk3. 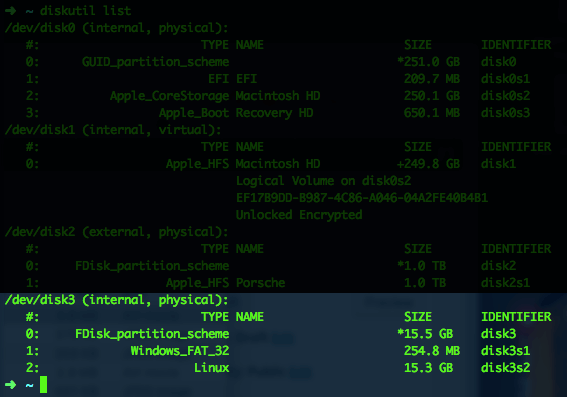 Remember that you are looking for the disk (not partition) of your SD card, so it would be disk4, not disk3s1. you can change my_rpi_backup_image.img to any other desired name you want. Also the above process can take a few minutes to complete. Now you can store your backup file anywhere you want for further restore. Follow the first two steps described above and make sure you have the disk unmounted. Same as before, this process can take a few minutes to complete, so you can go have some coffee while your computer finishes the job. Once it’s done, simply remove the SD Card from your computer, insert it to your RPi and turn it on, it will boot with the system the exact same way as it was before you saved it.